A United States federal court in Boston, Massachusetts, is hearing a discrimination case against the oldest university in the country. The nonprofit organization Students for Fair Admissions first took legal action against Harvard University in Cambridge, Massachusetts in 2014. It says the school discriminates against Asian-Americans seeking admission. The legal action accuses Harvard of holding Asian-American students to higher requirements than students of other races. It says the university uses "racial balancing" policies that unlawfully limit how many Asian American students it accepts. The organization argues that race should not be considered when deciding which students to accept. The use of "racial classifications and preferences" is "unfair, unnecessary, and unconstitutional," the group says on its website. It accuses the school of discriminating against Asian-Americans seeking admission by giving them a "personal rating." Lawyers for Students for Fair Admissions said these ratings seek to measure personal qualities such as "courage" and "likeability." Such qualities are measured subjectively, leaving the process open to discrimination, the lawyers argued. The group says it has more than 20,000 members, including students, parents and others. Harvard denies using discriminatory practices in its admissions process. The Ivy League school says it uses race as one of many things it considers in admissions decisions. It believes considering race can help create a mixed community "where students from all walks of life" can learn with and from each other. Education and employment policies that consider race are known as affirmative action. Supporters say these policies can help make up for historic, widespread racial discrimination of minority groups. Critics have long argued that affirmative action is unfair to white people and Asian-Americans who outperform other groups on academic measures. The U.S. Supreme Court has heard several cases about affirmative action in recent years. The Supreme Court's most recent decision on the subject approved limited use of race in the admission process. That 2016 decision came from a lawsuit against the University of Texas that accused the school of discriminating against white students. Harvard leaders have said the school only considers race in the way earlier Supreme Court cases have ruled is permitted. 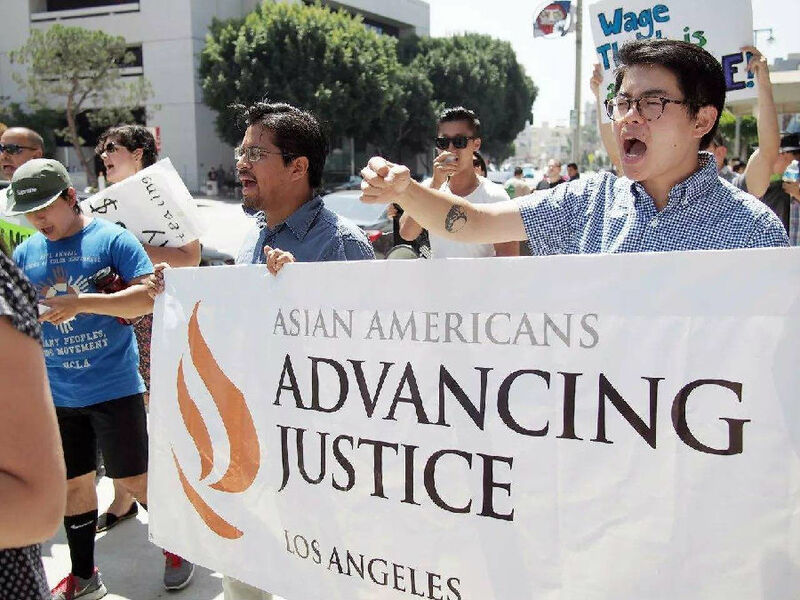 The university has also noted that its share of Asian-Americans has grown in recent years, reaching 23 percent of the latest first year class. Harvard reports that 15.2 percent of its most recent first year class is African-American. Hispanic or Latino students make up 12.3 percent, while 1.9 percent are Native American. That leaves a remaining group of mainly white students at under 50 percent. President Donald Trump's administration supports the argument against Harvard. In July, the Trump administration announced it was withdrawing government guidelines meant to increase student diversity at U.S. schools. The guidelines were developed during the presidency of Barack Obama. The guidance stated that schools could consider race in admissions decisions as long as the policies did not violate Supreme Court decisions. The U.S. Justice Department said it was withdrawing the guidelines because it considered them "unnecessary or outdated." Civil rights groups criticized the move and some university officials said they would continue their efforts toward mixed student populations as before. They will take legal action in the same federal court that issued the ruling last year. As long as you honor them , we do business. The town lies within the control of a group of guerrillas. The strike has taken on overtones of a civil rights campaign. 5.The nonprofit organization Students for Fair Admissions first took legal action against Harvard University in Cambridge, Massachusetts in 2014. The Justice Department took legal action against states in the South that violated laws on voting rights. As pressure for reform mounted, some states took legal action against trusts, as they became universally known. 6.Supporters say these policies can help make up for historic, widespread racial discrimination of minority groups. Her beauty can't make up for her stupidity. You have to make up for our loss.